Having the correct tire pressure is vital for the best driving experience. Your car's fuel economy may also be affected by insufficient air pressure in your tires. With changing weather conditions tire pressure fluctuations are inevitable. Road conditions may also play a part. So how would you monitor whether your car tires are at the optimal air pressure at all times? That's where the iTPMSystem comes in. 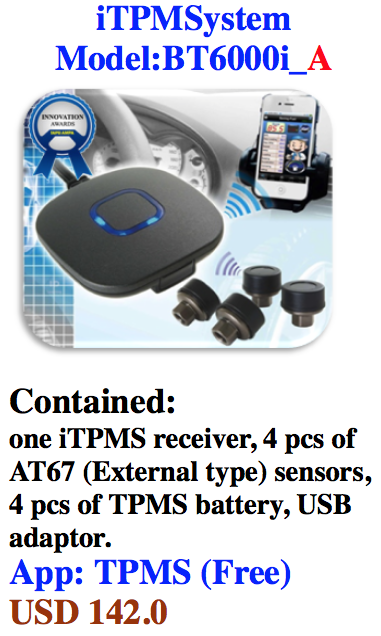 iTPMSystem is a tire pressure monitoring system designed to work with iOS devices. The system is manufactured by ATBS Technology. The components of the system include TPMS sensors for each car tire, a Bluetooth receiver (USB) and a companion iOS app which is available on the App Store. Just recently the iOS app has added AppRadio compatibility making the iTPMSystem the latest app to join the list. Technical details about the iTPMSystem are below. 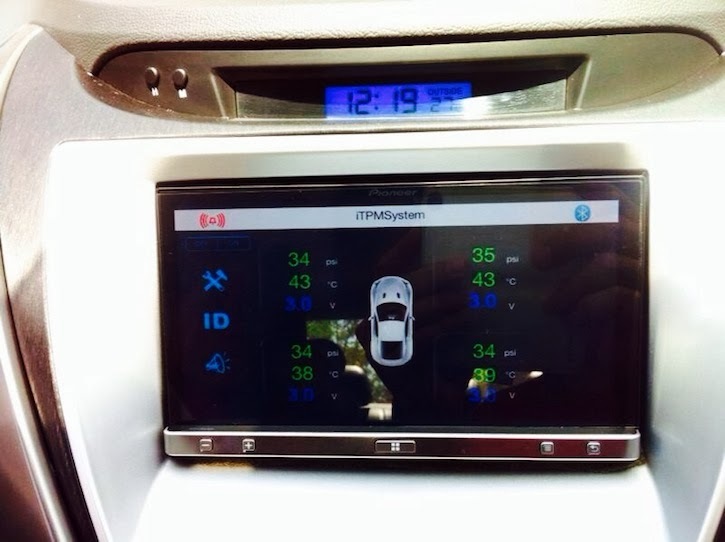 This Tire Pressure Monitoring System for iPod, iPhone, iPad (iTPMSystem) was designed for increasing security, reliability, and understanding tire conditions of your car. Once you properly install the iTPMS, it will automatically monitor pressures and temperatures of tires in real time, the data will be sent to iPod/iPhone/iPad through Bluetooth communications. When there is any abnormal pressure (under or over inflated) and/or temperature of tire detected, iPhone, iPod, and iPad will alert driver immediately. This system could ensure you are driving in safety. 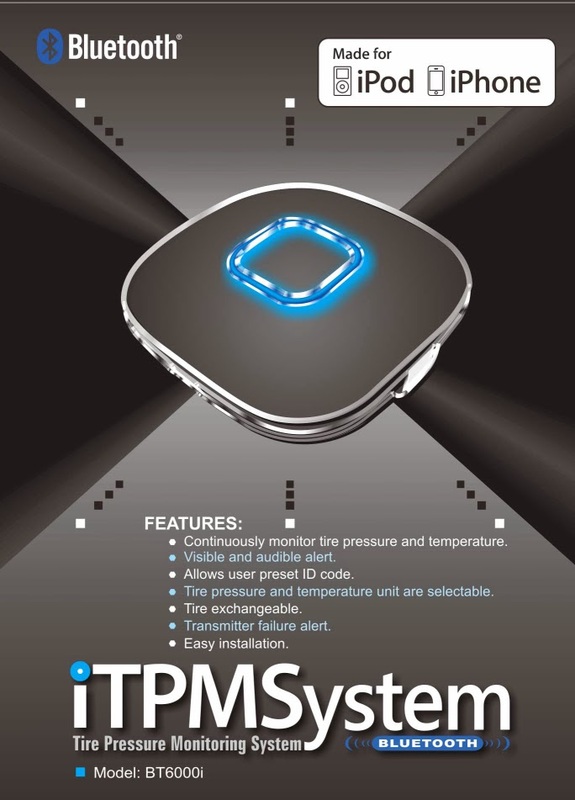 Internal type (M30) or external type (AT67) sensors are available to iTPMSystem. 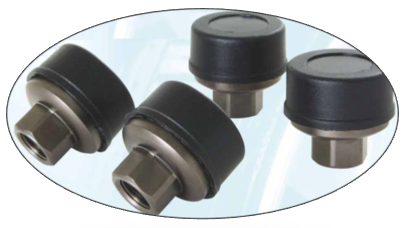 - Sensor is designed as a separate fitting, can be fixed on the inflating valve. No need to disassemble the tire when installing it. So after you've purchased and installed the necessary components (TPMS sensors for the tires and the receiver), all you have to do is pair up your iOS device with the receiver using Bluetooth and fire up the app. The app will then display tire pressure information for each tire in real time. And now, this data can be viewed using your AppRadio. The system can be used with any vehicle included trucks, cars, motorcycles, ATV's etc. The ATBS Technology website has full details and information on where to buy the components. The iTPMSystem app is free to download from the App Store. One Bluetooth Receiver (BT6000i), four AT67 (External) sensors, four sensor batteries (last for 1 year), and a USB adapter to power the receiver costs $142. Add $20 shipping to the United States and the price goes up to $162. Internal type sensors and OBD-2 receivers are priced higher. The system is pricey but if you log a lot of miles on your vehicle on a daily basis this may be well worth the price for you. Visit the ATBS Technology website for details. There is an Android app also available on Google Play. AppRadio compatibility of the Android version is not known though.